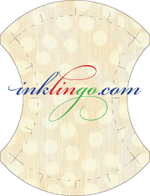 I have also received a few emails from readers who love fabrics but don’t want to sew a stitch. Sure! For starters, I have started a Tutorial section and try out the super-easy fabric-covered mousepad instructions! FREE FABRICS: Magdalene from Needle and Thread has a sweet deal for you. From now till 31 December 2010, she will give away one Fat Quarter for EVERY S$15 ordered from her store! NB: You have to include ‘Midnight Crafts‘ in the comment section when ordering. And NAT will pick the free FQ for you – no choosing for the free piece. The no-choice bit is no biggie because there are no ‘ugly’ fabrics in my dictionary. All prints will work out great depending on what you pair them with! Disclaimer: I am not paid, compensated, or sponsored by any organisation. This promotion was suggested to give Midnight Crafts readers a chance to build up their stash and also to try out a simple handmade project. ← Let’s put our hands to welcome… new fabrics! I’m Ame, I’ve just started an online shop selling Japan imported fabrics, Kokka. Do take some time off to view my webstore and I’ll be glad to hear your feedback about it.